Australian ranchers who struggled to keep their cattle alive during a prolonged drought last year are now battling to save herds from record-breaking floods inundating the northeast of the country, officials said on Wednesday. Australia's military has been called in to drop fodder to cattle stranded by floodwaters in Queensland state to stop them from starving, Agriculture Minister David Littleproud said, with their owners still marooned in their farmsteads. "This is absolutely heart-breaking for producers who have expended enormous amounts of money and energy keeping their herds alive through the drought, only to see them now devastated by floods," said Michael Guerin of the farm lobby group AgForce. The losses for farmers from the floods were likely to be in the "hundreds of millions of dollars" he said. 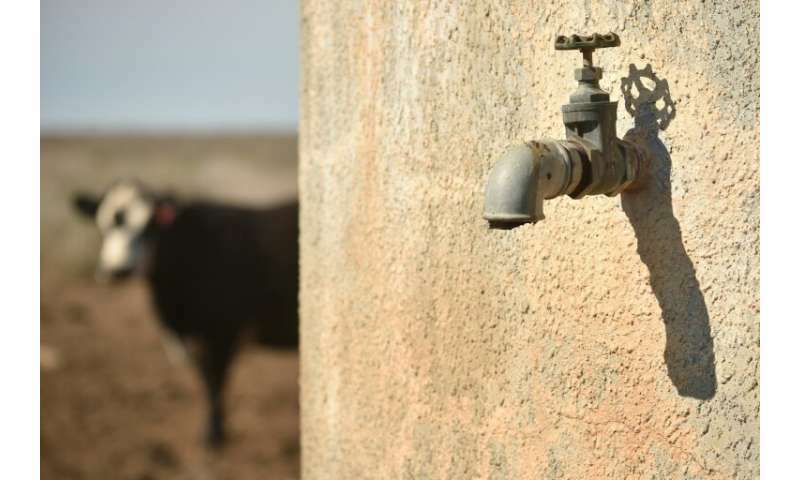 Swathes of Australia's eastern inland, including Queensland, have been plagued by a severe and prolonged drought that pushed farmers to breaking point as they struggled to keep their cattle and crops alive. While the late arrival of the monsoon in mid-January initially sparked joy among graziers as it brought much-needed rain to the parched lands, celebrations turned to horror as incessant downpours destroyed herds and washed away properties. "Stock losses will be much higher than normal, because drought-weakened cattle are more susceptible to being caught and drowned in floodwaters or dying of exposure in the wet, cold winds," Guerin said. Bureau of Meteorology forecaster Vinord Anand said some drought-affected communities received hardly any rain in December and the start of the year before the heavens opened. "It's like the flicking of a switch—it's been dry, dry, dry and then suddenly you get a year's worth of rain in 37 days," he told AFP. Farmer Rachael Anderson said she expected that some 200 cattle at a station she manages near Julia Creek township have so far died. "We thought that they would have been OK, but with the way this flood has come, we really don't think there is much hope," Anderson told national broadcaster ABC. "If I were a cow I would have chucked the towel in two days ago. What's really getting to me at the moment is people saying: 'You asked for the rain, you got it'. We'd probably almost (would) have been better off in the drought." Some towns cut off from the deluge started to mop up on Wednesday as the monsoon trough drifts south and moves offshore in the next few days. Australia's tropical north typically experiences heavy rains during the monsoon season, but the recent downpours have flooded highways, towns and turned roads into rivers.